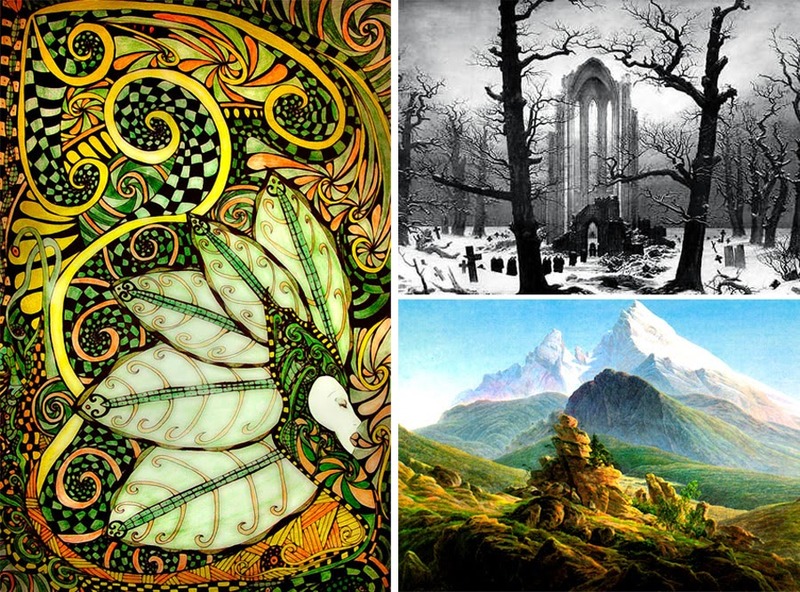 And again we embark on our search for the most inspiring, and maybe frustratingly hard-to-find early high fantasy and weird fantasy masterpieces. Read the Part 1 here, and take care not to fall off the mortal coil of this world looking for all things Elvish and beautiful, or - on the contrary - unmentionably weird and darkly Lovecraftian. "The Return of the King and the Downfall of the Lord of the Rings"
The early drafts and poems for that book appeared in 1915, providing the first glimpses into Tolkien's magical country of the Shire. Some epic poems and individual chapters of the "Silmarillion" took shape even earlier, so we can safely say that Tolkien was already "hooked" on Middle-Earth and adventures wherein way back in the 1910s, even though "The Hobbit" was not written down until 1935. (What's even more intriguing, Tolkien wanted to create a full-scale mythology for England itself - he felt that the English language lacked a really exciting set of myths, compared to other languages - a magical environment for other writers to explore and play in... Which is exactly what happened, if we look at the amount of epic fantasy stories set in Middle-earth during the last few decades). Much has been written about The Hobbit, from the influence of World War 1 on Tolkien's creation and development of Middle Earth, to literary and stylistic reviews. What is there left for one to say about this, the most charming of Tolkien's works and probably the entire genre? Though it was written for children, it appeals to the "Tookishness" in everyone: that deep down desire for more than just a comfortable hobbit hole - for adventure, and legends of long ago to wake up and invade breakfast. Who wouldn't want to be whisked away without even a handkerchief on some wild adventure? The storyline is not without its faults and a tendency towards "Deus Ex Machina" solutions, but they are carried off with such unapologetic aplomb that one cannot help enjoying every image and word. Tolkien's treatment of human emotion and motivation - filtered through his hobbit and dwarves - is without fault and honest: courage, greed, pride, resourcefulness, wit, humor, despair, love, loyalty and duty are all met and measured. Bilbo, who is so comfortable in his hobbit life that his neighbors don't even have to ask him what his opinions are, finds himself the odd one out among a pack of dwarves and with the awful label of burglar. He "lives up" to this challenge in ways which show his true character and surprises everyone. This book is truly one to curl up with on a February evening when it seems life has dulled into a cramped, damp hobbit-hole... it's always helpful to remember, you could be stuffed in a barrel and dumped in a river. 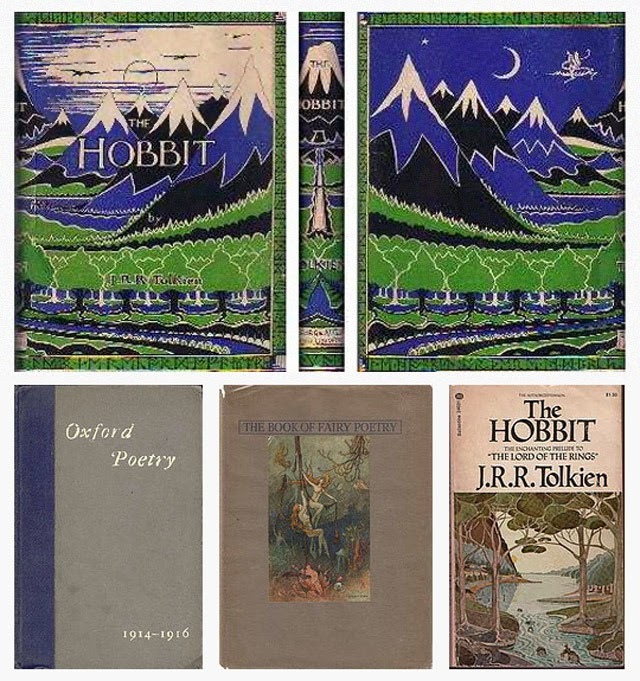 It was surprising to learn that a significant part of the Middle-Earth history, and a general feel and atmosphere of the Tolkien's world (including most poignant of his poems) - all were completed between 1914 to 1920, at the time when Tolkien was in love and when he experienced the terrors of war - but then, this is not really surprising, is it? I think that it is only proper - considering the intensity of feeling, freshness of emotion, vast scale of vistas and romanticism of the highest order that went into that "world-that-never-was-and always-is", the Middle-Earth. The true scale of Tolkien's mythology and its poetic qualities can only be appreciated outside the confines of a single trilogy (and definitely outside of Peter Jackson's movies, which seem to emphasize dark aspects of Middle-earth rather than its beautiful High Elves side). So, go ahead and get hooked on exploring in depth the epic history and the mysterious knowledge in the "Silmarillion" and the "Books of Lost Tales"; after all, this is how Middle-earth was originally intended to be experienced - better than in 3-D. 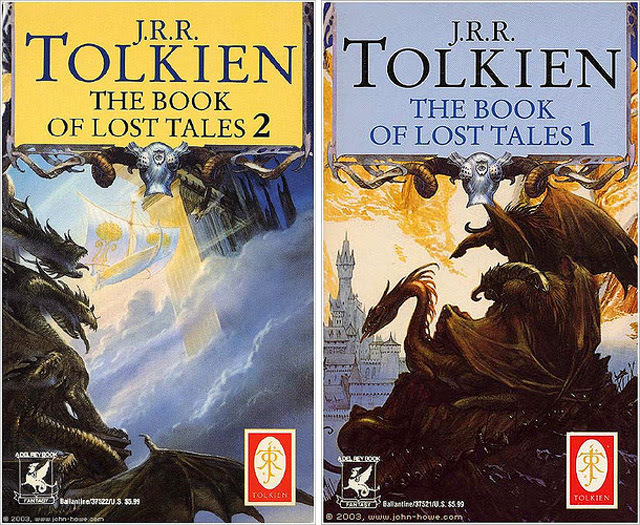 The "Return of the King and the Downfall of the Lord of the Rings" trilogy (that being the original and proper title of "The Lord of the Rings") should be regarded as only the front-piece, the gate, the first step into... as big a world as human imagination can contain, or put on paper. 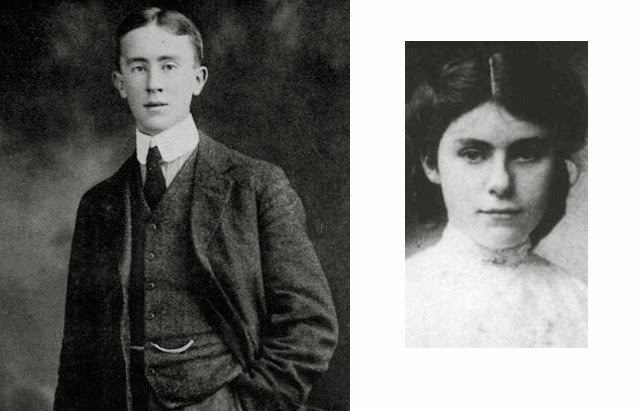 In Tolkien's life, love became a catalyst to imagining and realizing monumental works, and love can only grow with time. 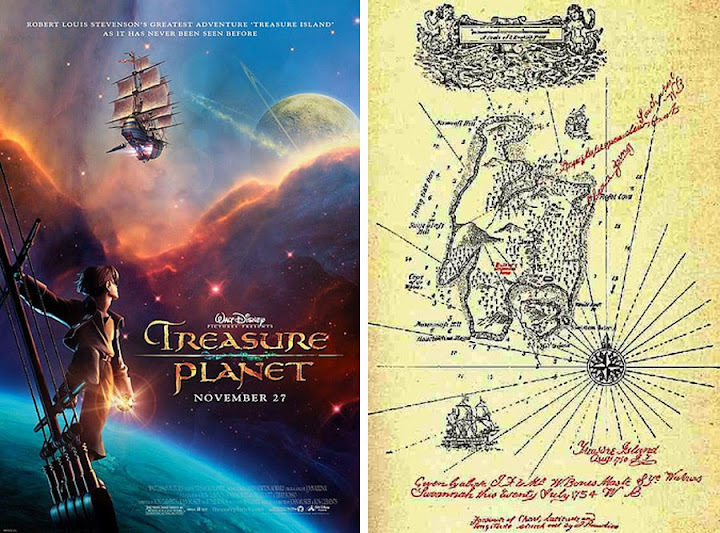 "Treasure Island...or Planet... or Universe" - take your pick! I include this book here as the example of an enchanting adventure in exotic setting, which may just as well have been set in outer space - as was recently proved by a marvelous Disney movie "Treasure Planet" (I quite like the poster for this movie, too, see below). The story itself is timeless, its plot endlessly fascinating. A Treasure Hunt against all odds, quickly moving through multitude of exotic environments, and facing many (mostly pirate) monsters. By the way, the "weird fantasy" sub-genre has always been fond of a pirate lifestyle and often made a good use of it (take, for example, the "Pirates of Caribbean" movies, which at times can even have the same effect as reading a good old issue of "Weird Tales", almost matching the visual intensity and inventiveness of the 1930s pulps). 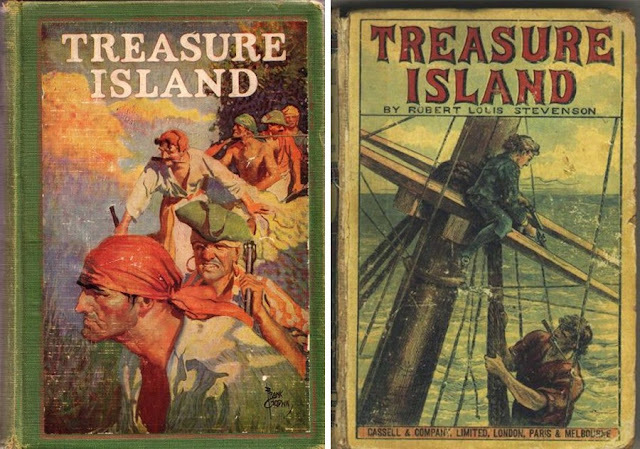 The 1906 year saw the first "pulp-style" edition of the "Treasure island" (in a popular "yellow-back" series format), quickly achieving legendary status and starting a flow of reprints... the flow that will only cease when Davy Jones himself would mutter "enough already" out of the murky depths. "And when tales fly thick in the grottoes of tritons, and conches in seaweed cities blow wild tunes learned from the Elder Ones, then great eager vapours flock to heaven laden with lore; and Kingsport, nestling uneasy on its lesser cliffs below that awesome hanging sentinel of rock, sees oceanward only a mystic whiteness, as if the cliff's rim were the rim of all earth, and the solemn bells of the buoys tolled free in the aether of faery". As you can see, the wonder and mystery in this story are not confined to a singular "strange house" alone. In a most insidious way Lovecraftian tales will stay with you for hours, infusing your reality with a faery glow, and (in an even bigger measure) enhancing the shadows, till they grow to be sentient and grimly intent, bound to coalesce around you, if you do not swiftly flee into reality. "The Rose And The Cup"
The Rose and The Cup of the title is a theosophical symbol, interchangeable with the Ace of Hearts, the openness to all emotion. 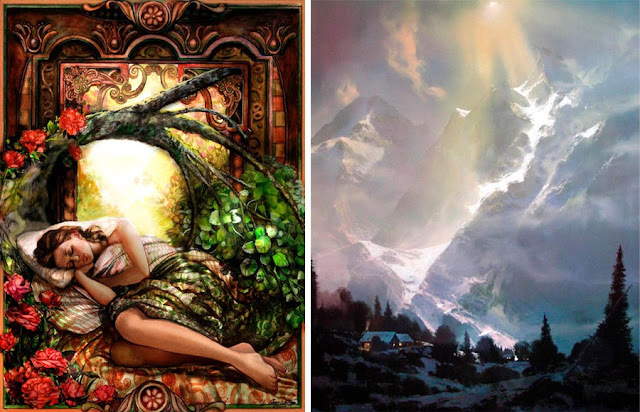 The story illustrates this principle, using a few sublime fantasy elements. 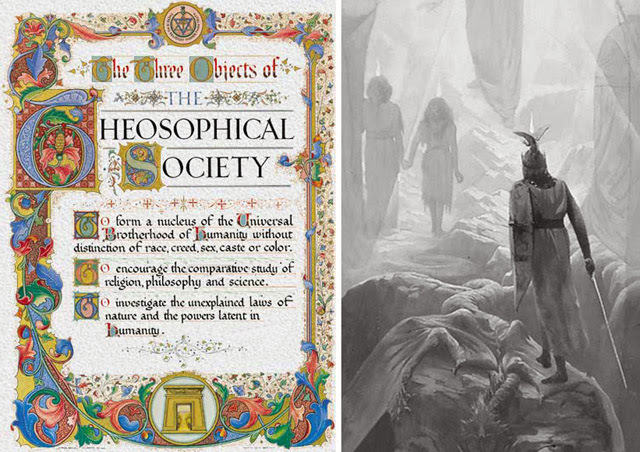 Kenneth Morris was a theosophist himself, seeking (and finding) secret symbols all over our reality. In some ways, such mining of esoteric knowledge is not unlike fantasy, when you are really following the constructs of your mind, satisfied with mind games, exploring various possibilities, seeking for the truth, but wandering among twisted (and endlessly fascinating) mirrors. 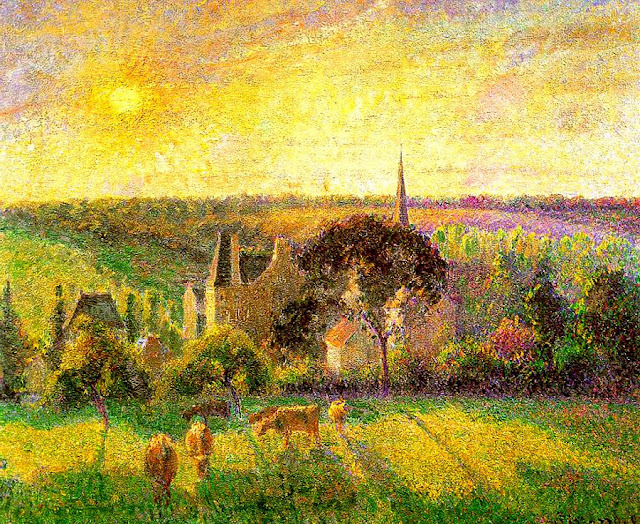 For many members of the society the "uncovering of similarities" was a reward enough, and some of them came to the knowledge of God in due time. 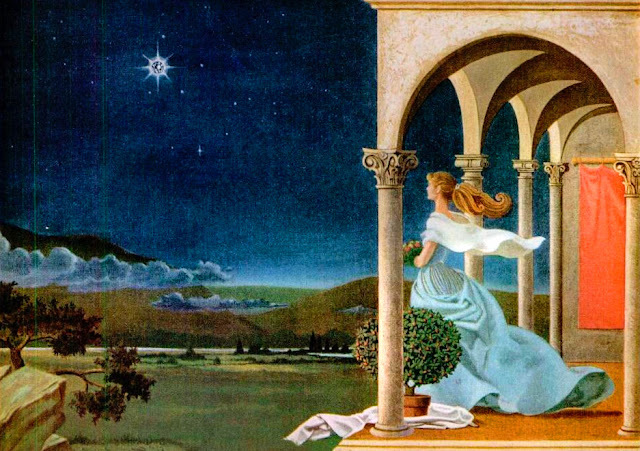 As for this story, it's average in my opinion, although Le Guin calls Morris "one of the master prose stylists of fantasy in the twentieth century." "The Crime Of Micah Rood"
Who could've known that an exciting fantasy, detailing strange growths in and around abandoned gardens, was published as early as 1902 - with great narrative tension, the overall feel of "Weird Tales" magazine and even some of the "look" of modern-day computer special effects, but here it is. Surprise! I wonder how many other top-notch and imaginative stories are languishing in antique magazine piles, passed over by critics and collectors as a simple "mass-market" entertainment. Frank Belknap Long - a member of the Lovecraftian school of the weird and macabre tales, Frank Belknap Long was a highly visual and entertaining writer, though the quality of his output declined with the end of the Pulp Era. During the Golden Age of Science Fiction and Fantasy (1930s-1950s), however, his stories were highly entertaining and thrilling pieces. This novella proves once more that Henry Kuttner could write top-notch fantasy better than most acclaimed writers in the past, present and foreseeable future. Most of you know about his magnum fantasy opus "The Dark World", but here the narrative tone is lighter, humor is ever-present, and the suitably convoluted, inventive plot is crowned with an epic ending - which may arguably show this whimsical, playful piece to be the best Arthurian fantasy ever written. Truly, misadventures of a WWII pilot who stumbles into a Magical Kingdom (hidden inside a humble English country lake), then proceeds to mess up with Morgan Le Fay and gets his hands on the Excalibur, are amusing enough - but as the ending approaches, a reader would want this hilarious romp to continue and not turn the last page; as is often the case with Henry Kuttner's all-too-short short fiction. "Bilbo's Last Song (At the Grey Havens)"
A poem written by Bilbo Baggins just before he boards a ship from Middle-earth to the Undying Lands at the end of The Lord of the Rings. Very stirring, in the elegaic mood, full of riveting imagery. Something that will make you cry and your heart sing. The poetry itself perhaps is not as important as the thoughts conveyed here - everyone can listen to the music of these thoughts. A perfect piece for a genius composer.